This is a original version of the “Snail Ring". The Snail ring is a new contemporary design. 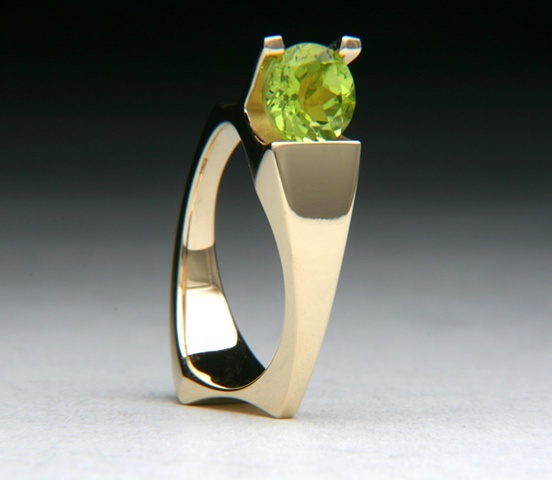 The stone is a acid green Peridot 7mm. The stone is set on the side of the ring giving it the appearance of sitting between the two fingers. It has side comfort fit curves, so the ring is comfortable between each finger. This particular ring is made of 14kt yellow gold, but it can be made in any metal.